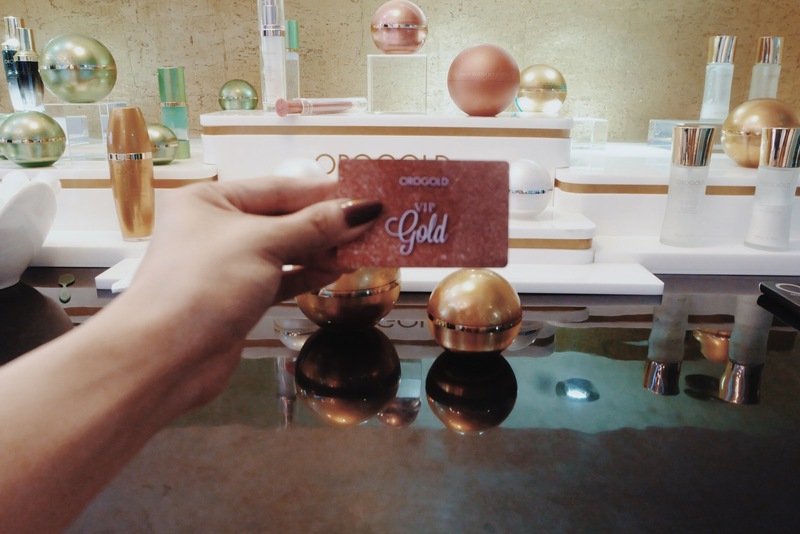 I first knew of Orogold back in 2010 when I purchase their infamous Gold-infused nail grooming kit which costs P3000+. I kept that for years and it has been keeping my nails – which is still skin! – neat and shiny. Then it disappeared for a time. 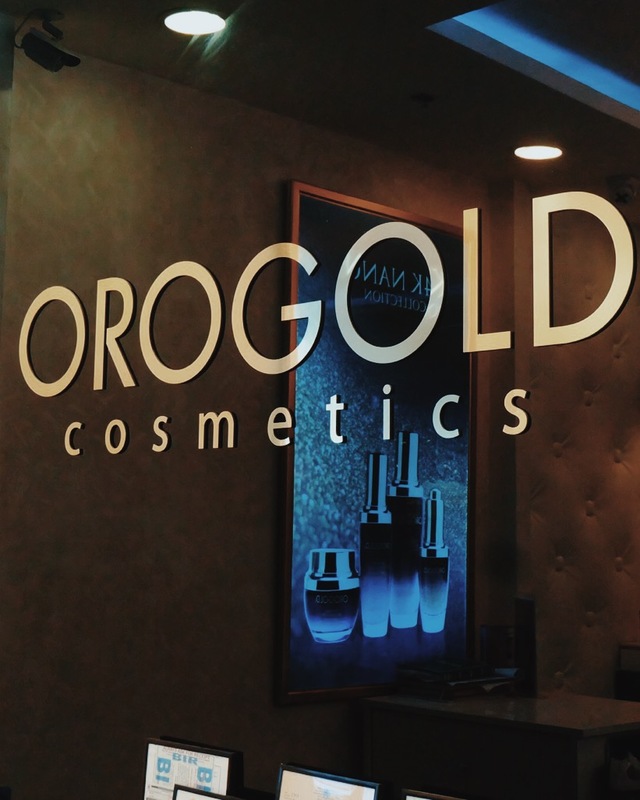 Then just a few months ago I noticed Orogold boutique’s in malls, with a wide selection of premium skin care products so I tried visiting and checking out their products with real gold. 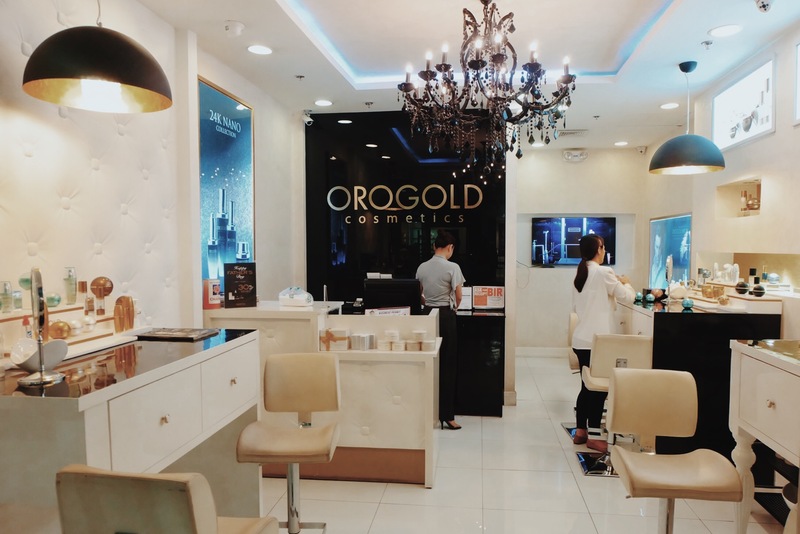 It is said that Orogold combines ancient heritage and old age beliefs with modern day technology and manages to re-create the exotic beauty of yesteryears, while ensuring that it helps you deal with modern environmental stressors as well. 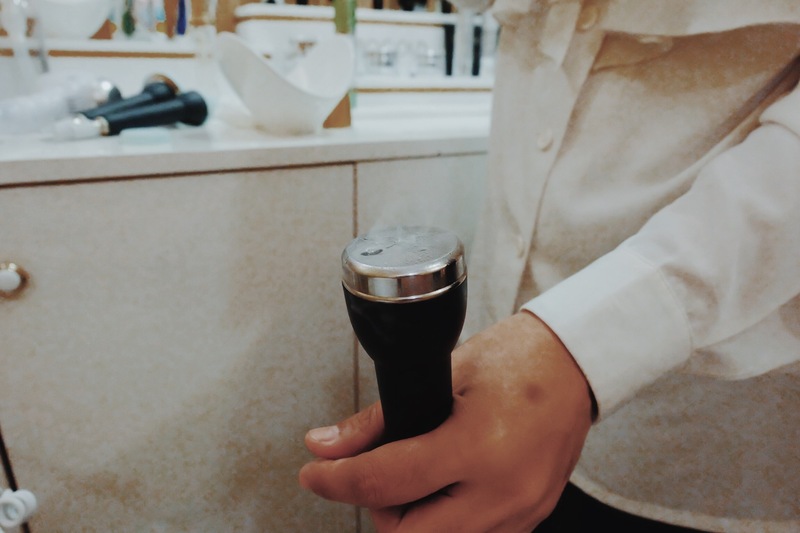 I visited the branch in Robinsons Ermita (one busy and best-selling mall I’ve known when I was still in marketing) and the owner toured me to the different sections of the luxurious boutique and found some unique products and lines suited for every skin type. I was amazed at their Caviar and Cryogenic exclusive collections made out of caviar, gold, Mother of Pearl and diamond. 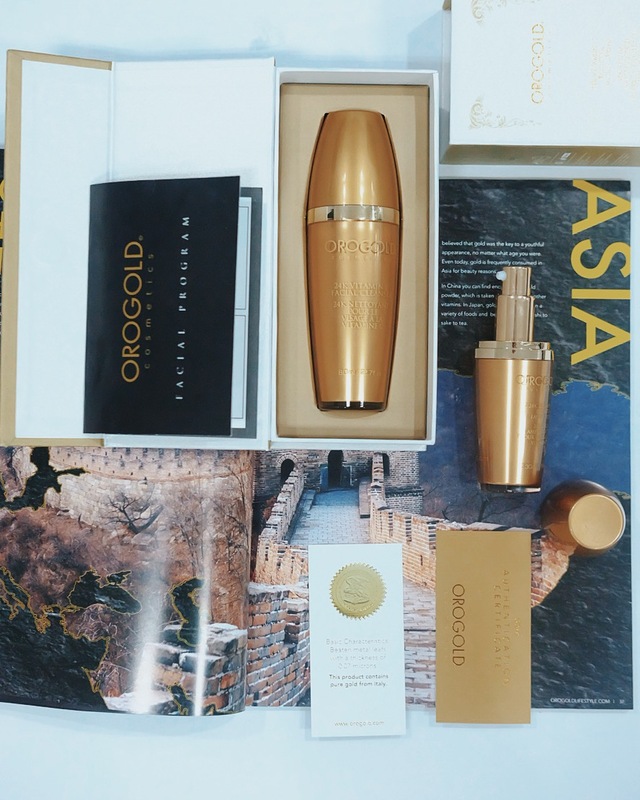 Each of these exclusive OROGOLD collections contains some of the most unique and luxurious ingredients that can work wonders for the skin and transform the way skin looks. 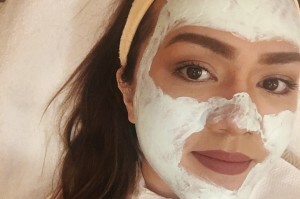 Aside from serums, premium masks always catch my attention because they have the highest concentrations of the active ingredient. 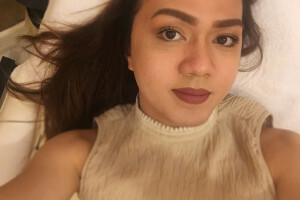 I had a mini consultation and since I was still on Tret that time, I had to solve my dull and dry skin so they had to give my the Vitamin C collection, and a facial treatment that comes with the VIP card to entitle loyal customers with exclusive benefits when you purchase around P50,000 worth of products. They gave me the chance to check out the The Vitamin C Collection which promised to purify the skin by removing makeup, dirt, and excessive oil. Infused with powerful antioxidants such as Witch Hazel Extract, Tangerine Fruit Extract, and Gold, skin will feel energized and refreshed. 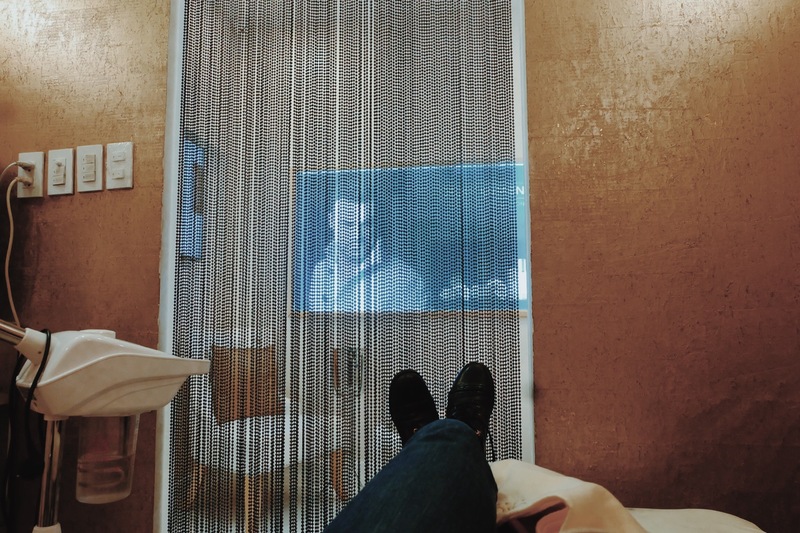 I got to try the star products from the line in the VIP room which was just so luxurious and high-performing. 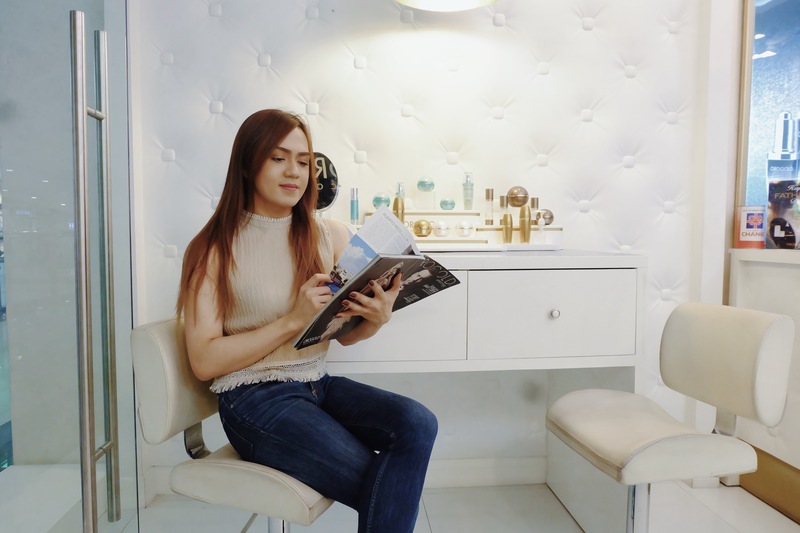 I got the try the 24K Gold mask regimen and a preview of the Vit C serum after, applied on my face using their special massager which would allow the active ingredient to penetrate product deep in the skin. 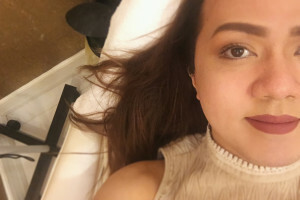 Immediately, my face became so bright and blooming, with very minimal dullness, dryness and spots or marks! 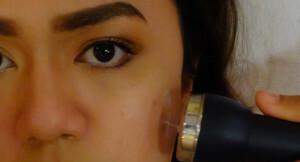 Prolly one of the facials (without acne pricking etc) Ive ever had that instantly made my skin glowing and ultra-smooth. I can go out and even party after these treatments. I was so happy that they let me try two of their star products at home which I’ve been using on special occasions (Im trying to save up on this LOL). 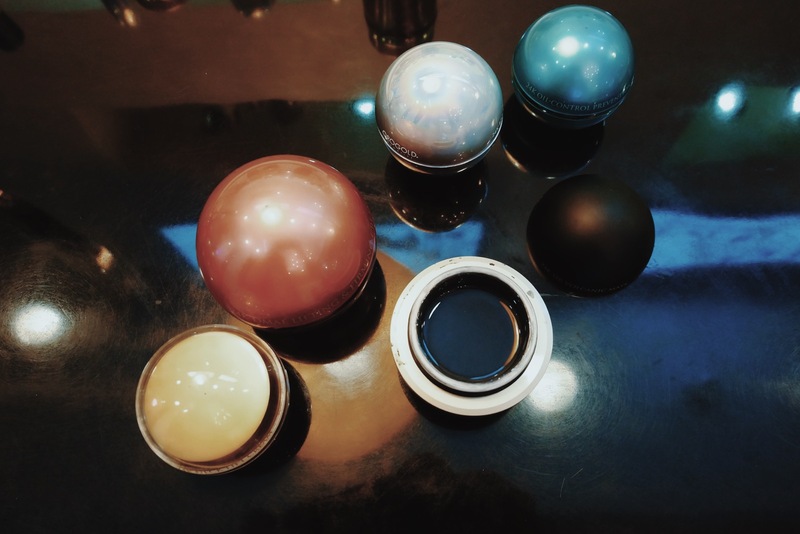 I use these especially before doing my makeup prepping and priming. 24K Vitamin C Facial Cleanser ( P 6,200)* OROGOLD’S impressive 24K Vitamin C Facial Cleanser is enriched with ingredients such as Vitamin C and Gold. This cleanser offers a gentle foaming action to clean skin and help remove make up, dirt, and excess oils, leaving your skin feeling energized and refreshed. This opulent cleanser doesn’t just do an excellent job cleansing the skin of impurities, dirt and extra oil but it also removes makeup! Use it at the end of the day to remove grime and pollutants from your face in one easy step. 24K Vitamin C Booster Facial Serum ( P 9,100)* The 24K Vitamin C Facial Booster Serum is flecked with gold pieces to help illuminate and brighten the appearance of tired looking skin. The serum formula combines gold with beneficial ingredients like vitamin E and vitamin C, to give skin a youthful, ultra-smooth and glowing look. Over time, it diminishes the appearance of fine lines and wrinkles, leaving you with smooth and glowing looking skin and a soft citrus aroma. These are prolly the only gold I own and one of the most luxurious and expensive skin care in my set and I’m happy with the results. 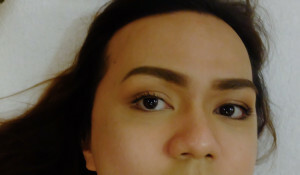 The serum is very good as primer as well as it is quite silicone-y but it delivers like gold. 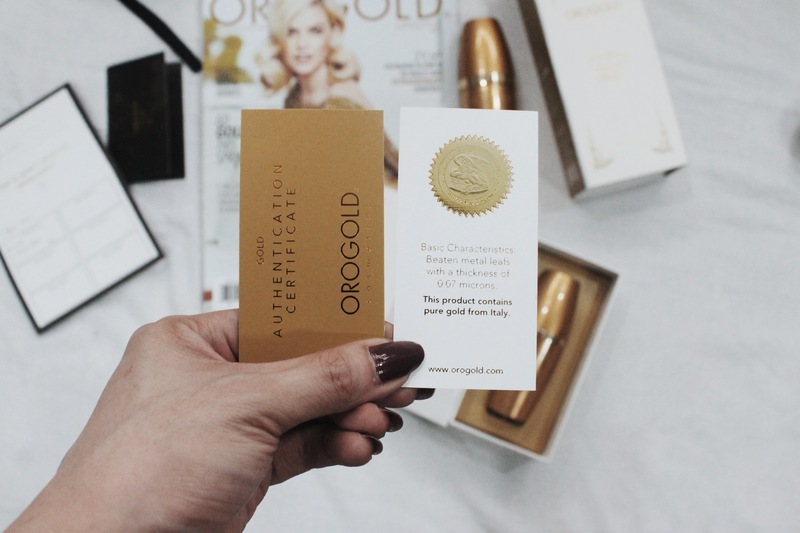 By the way, the products have an Authentication Certificate that verifies they’re using certified 24K Italian Nanogold. And we all know that gold in skin care improves circulation, collagen release and elasticity of the skin since it became trendy in 2008-2011. Overall, I recommend these products and treatments. Might seem pricey but the services and real luxurious effects are worth it. Try to visit them at Century City Mall, Newport Mall, Resorts World or Robinsons Place Manila.